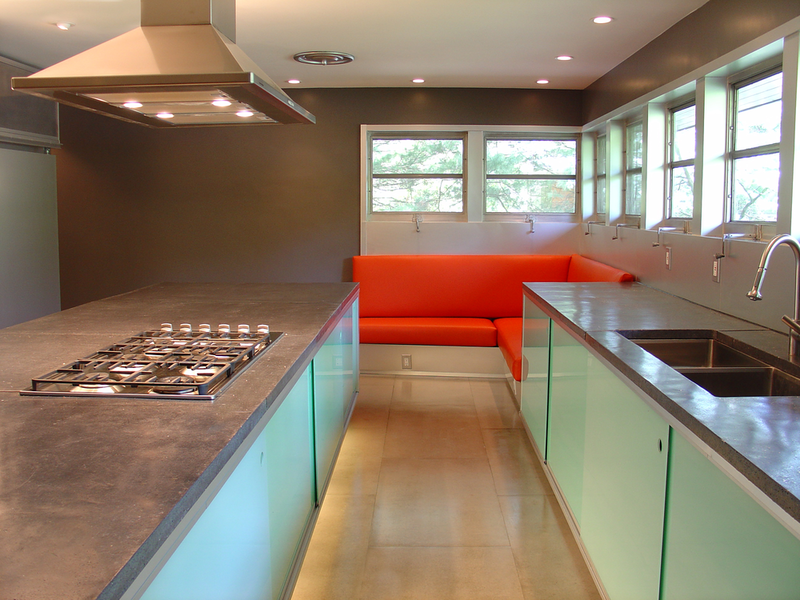 The kitchen is part of an ongoing renovation of an existing mid-century home in the Midwest. All work was designed by the architect and constructed by the architect with teams composed of paid architecture co-op students. The original kitchen configuration was small and compartmentalized, with an attached laundry room at the corner of the house. 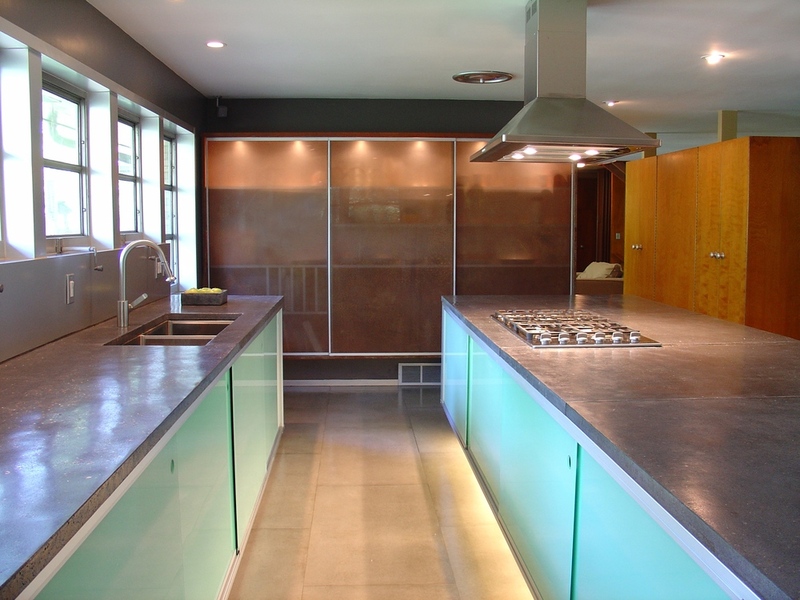 The new design eliminated all of the partitions in the space, allowing for a clean and open kitchen that exploited the existing band of jalousie windows that wrapped the corner of the house. The owner’s interest in Shaker architecture and the notion of “everything in it’s place” contributed to the minimalist storage solutions and clean lines of the project. area defines the opposite end of the room. 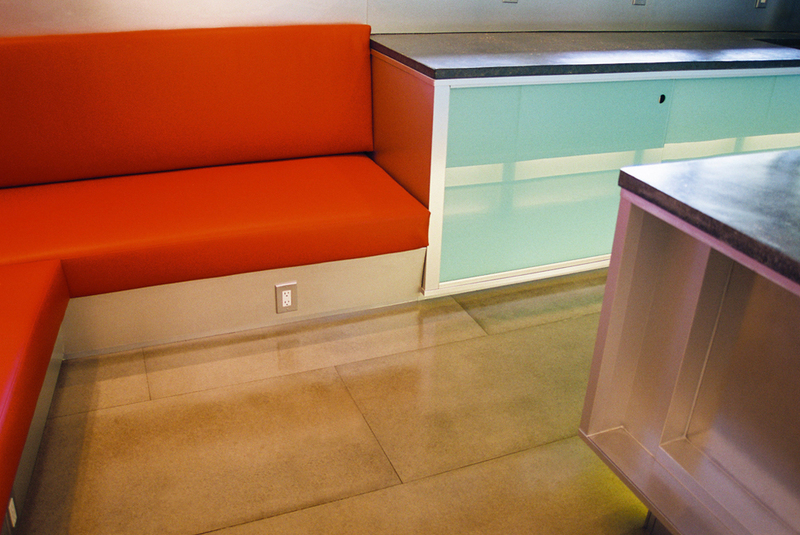 A new floor, comprised of 2’ x 4’ cement fiberboard panels, was installed to replace an existing vinyl floor. A large, floating island workspace with integral base lighting and hand-cast concrete countertops occupies the center of the room.